Smallville21 Hotel is a mid-range hotel centrally located in Smallville Complex, Iloilo’s nightlife, dining, and entertainment hub. The hotel is popular among both visitors and locals for its clean, spacious, and modern rooms at great value for money. 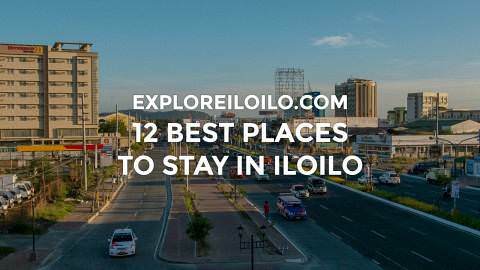 It is an excellent choice if you want to check out Iloilo’s party scene and many of the city’s upscale restaurants. 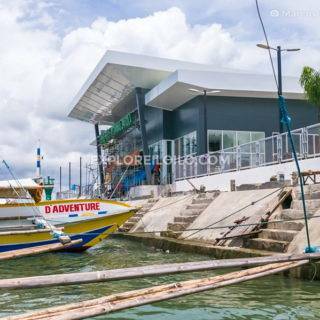 Smallville21 Hotel, which stands along Boardwalk Avenue in Smallville in Mandurriao District, is easy to get to for both private transport and public commute. Its location near Diversion Road provides a convenient access to the Iloilo International Airport. Travel time from the airport to the hotel (and vice-versa) takes around 20 to 30 minutes. Additionally, most places within the city are under 10-15 minutes away by taxi. There is usually a taxi queue right in front of the hotel lobby entrance. Jeepneys do not pass by the front of the hotel. You may find them along Diversion Road, which is a 5 minute walk away. The Avenue (50 meters) — Upscale strip filled with many dining, coffee and desserts options, and Aura Dance Club. Riverside Boardwalk & Iloilo River Esplanade (200 meters) — a narrow footpath in Riverside Boardwalk provides a shortcut to the Iloilo River Esplanade. Diversion 21 Hotel (420 meters) — A bit more higher-end hotel managed and owned by the same chain. Discover more blogs and travel tips in Smallville. It’s very clean and the location is convenient especially if you’re planning on a late night drinking session. It’s nice to pass out in a huge comfortable bed. What I didn’t like is how sound travels into the adjacent room, can’t get much privacy if you know what I mean, still like this place though. NICE ang smallville 21 hotel medyo maingay lang dahil sa live band sa pirates…sa march 2012 ang bakasyon ko balik uli kami dyan. nami ah. improve na gid man ang pavia guimbal route. amo ni ang mabutang sa aton sa mapa sng international airport.